Rick Wakeman, ordering a curry whilst a band mates solos, appearing on 'Grumpy Old Men' as a sort of "why aren't Reliant Robins around anymore? ", "why aren't there Mods and Rockers in Brighton these days? ", "why am I raging against the dying of the light?" and other such comments (allegedly). However, he does have a fine array of music under his cape and here are two of them; a mid-1990s offering and a live album. The re-appointing of 1996's 'Fields of Green is an often barely exciting ragbag. We have a re-working of 'Starship Trooper', much as a piece of cheese with a gherkin on it is "re-worked", sounding thin even though he goes for it, whilst a cut and shut of an 1997 election night theme tune and 'Arthur' is a lot better than might be expected, processing with horns aplenty and whizzy synth goodness. But this doesn't sustain at all. 'The Promise Of Love' is trite, pan-pipe synths not adding one iota and 'The Spanish Wizard' is aimless noodling in the most of anodyne of Emerson styles. And the MOR 'The Never Ending Road' even has the phrase "Tinker, tailor, soldier on..." running through it. At least 'The Fighter' has a bit of drama, with Chrissie Hammond's role-playing vocals rather special and the solo rearing up, even though there is an attempt at jauntiness which is misplaced; 'The Nice Man' meanwhile is fun and even though it sounds like an 1980s TV theme tune, syncopation in the singing and squelching in the synths is very enjoyable, mixed with a glorious organ solo and energy to burn. Generally though, this is an anodyne bore, a reminiscence and a comfort in the past. Of course we love Prog of the past, foolish and ridiculous to discount such splendid music, but this is the sound of the past with little interest for the present. Perhaps a question for 'Grumpy Old Men' should be "why can't this album be better?" The live album is much more like it. Recorded live with the New English Rock Ensemble, the title may be a reference to Damian Wilson allegedly pulling out of the project and Wakeman mainstay Ashley Holt filling in at short notice. Out of adversity and all that; Holt and the rest of the performers here turn in stupendous performances, really bringing this challenging music to life. And to be fair to Wakeman, he doesn't stint; as well as the orchestra, there's also a choir to add heavenly warbling and heft to an already hefty canon. It is Wakeman's spectacular, massive music which leads this album to a place of pleasure. Nowhere is this better illustrated than 'The Cathedral In The Sky', the church organ and the orchestra woven in, almost tipping the whole thing over but just staying behind the line, Holt really releasing his dramatic side, almost musical theatre but not quite. This is exciting music too, opener 'Catherine Parr/Beware Your Enemies' so big that it fills your whole room with Prog until you're breathing the very essence of old-school goodness, but fear not, 'Dance Of A Thousand Lights' is a beautiful Christmassy piano workout, the lightest of sorbets. 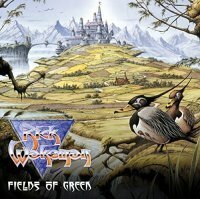 And then 'Wurm' gives those great players the solos they have undoubtedly earned; Wakeman himself of course, but six-stringer Ant Glynn really takes the opportunity to show us what he can do – that they don't bore us is a thing of wonder. 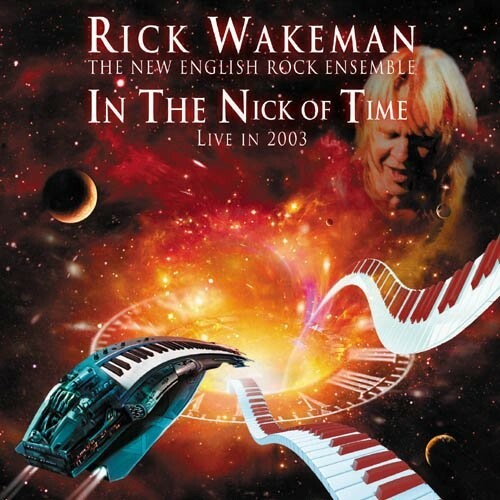 What these albums do is remind us that what Rick Wakeman actually does, amid all the TV frippery, is deliver unashamedly overblown Prog which is often excellent. Bless him for that.